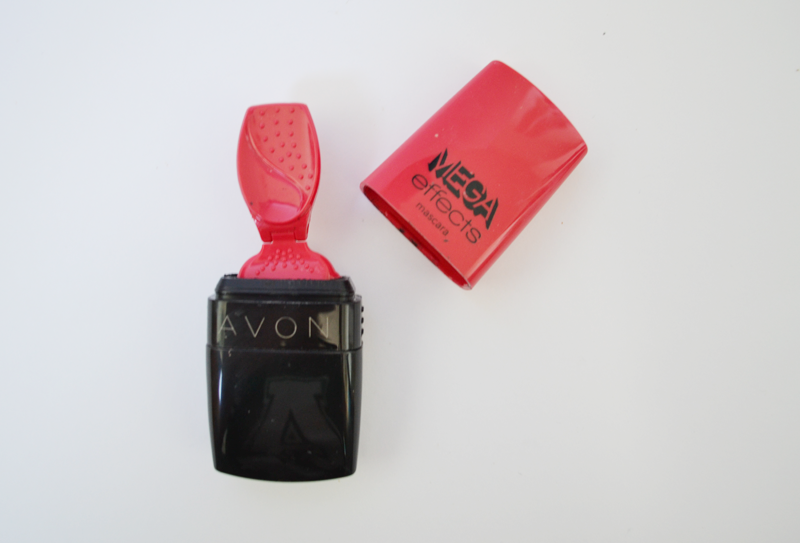 Today I’m reviewing the Mega Effects Mascara by Avon. I have to be honest and say I brought it purely because of it’s different design and uniqueness in comparision to normal mascaras. This mascara claims to ‘provide panoramic volume and corner to corner coverage for dramatic definition‘ as well as being ‘flake-proof and sweat-proof”. The packaging is very different to most, on the opposite end of the applictor is a handle which is moveable, so you’re able to bend in order to apply the product as easily as possible. This design means you apply it from holding the handle in front of the eye, rather than the side like most mascaras. Although the design is exciting at first, it soon becomes apparent why all mascara’s are wands, and not like this one. The handle is very hard to remove and feels as if you’re going to end up tugging and having it fly across your room. You then go to apply the mascara and your problems continue. The bristles are supposed to tug on your lashes to give the volumised look, but I found no matter what I did, I ended up with some on my lid, and just below my bottom lashes too. The last thing I want to be doing is using a Q-tip to remove mascata from my entire eye area. The formula is fairly wet too which just makes this issue worse. 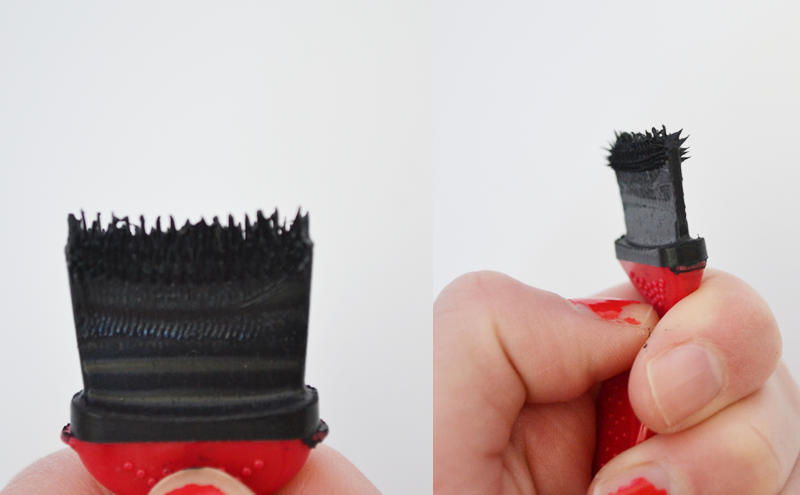 Finally, as you can see from the photo, the shape of the brush meant I struggled to get any product on my inner lashes. Although the mascara works and does the job, it costs a lot at £10.00 for 9ml and it’s just far too much hassle for an overall not amazing finish.